Skin revitalization is a nonsurgical treatment that will improve your skin's appearance, quickly and easily. This advanced light-based technology clears undesirable vessels, revealing clearer, more beautiful skin. Specialized pulses target the vessels without harming the surrounding skin. The light delivered to your skin causes them to dissappear through your body's natural healing process. 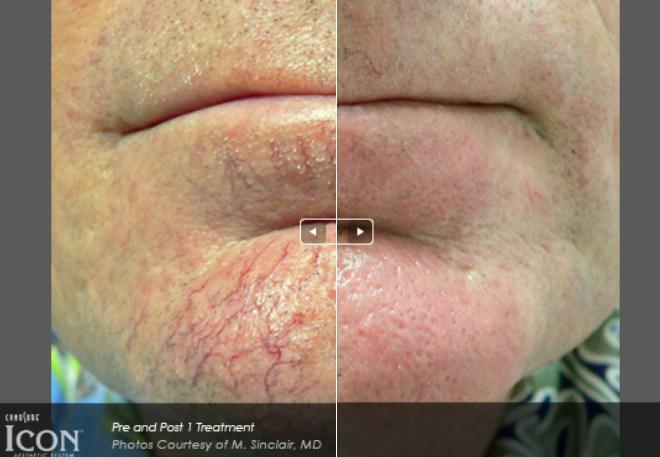 A non-invasive alternative with no downtime! Your veins will degenerate and disappear for clearer looking legs. Expect to see a decrease in the appearance of vessels for a more even skin tone. A series of treatments may be needed for desired results. Call today and schedule your consultation appointment to discuss treatment plans, comfort, and results.